I am 70 years old and until last year was scared of dogs and never owned one. Then Nina (4 years old) entered my life and absolutely has taken control of my life. Smart, funny, very affectionate, entertaining, at times rambunctious, and with an attitude only Mini Schnauzers could have. She talks to me listens to me and is just a part of me. What I am worried about is losing my mini before i die! I will be devastated. I hear about Minis prone to diabetes, pancreatic cancer, blindness and others. How do I protect and keep her healthy. She doesn't like dry food, picky about food, thrives on treats and easily puts on weight. By the way, how much she should weigh? 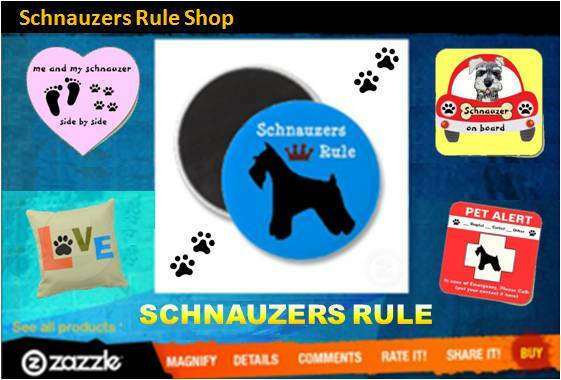 I see different weights listed in the Internet for a 4 yr old female miniature schnauzer. I would like to hear from the real owners. How much she should eat? How many calories. Dog food labels do not tell the truth and play on words. Believe me, I am an nutritionist. yet another question. Should I get a companion for Nina? Are they Ok being alone as a dog? (Either my wife or I are always with Nina). And while Schnauzers are prone to some of the diseases you mentioned, try not to worry about it. Just enjoy her. Take her for walks. Spend quality time with her. Brush her down at night. And if you ever notice any signs of her acting any differently then normal, take her to the vet if you are concern. No one knows your dog better than you. You will know when she needs help. 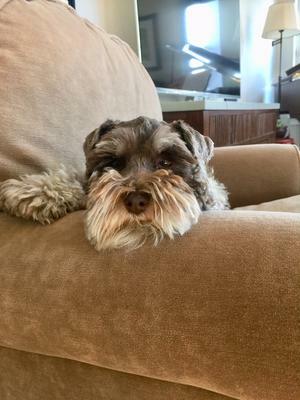 To answer the weight question: Schnauzers range in size but a 4 year old Mini Schnauzer (between 12" to 14" tall) should weigh between 11 to 20 pounds. And as far as getting her a companion - that is up to you. Get a second dog if you want one. Nina will be fine as an only dog though. That's an individual choice.